It's one week into June, so it's about time I share what I read in May, right? But really, give me a break; I'm a teacher and it's June. One and a half more weeks and I really hope I'll be back to blogging regularly. Hooray, summer vacation! 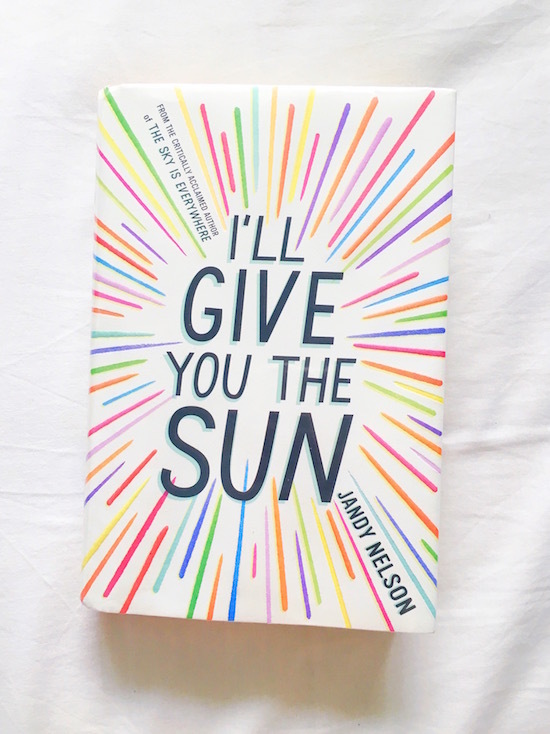 I'll Give You the Sun by Jandy Nelson / This was a book club pick. I'd never heard of Jandy Nelson, but oh man, am I glad I know about her now. This book was magical. I really and truly loved it. It's told from the points of view of two twins, a boy and a girl, and is about so much. Relationships (romantic, friendship, family), art, sexuality, coming of age; I could go on. If you like books by John Green or Rainbow Rowell, I think you'll like this. After You by Jojo Moyes / This is the sequel to Me Before You, so make sure you read that first. I won't say much here because I don't want to give any spoilers, but I enjoyed this, just not quite as much as the first book. Shopaholic on Honeymoon by Sophie Kinsella / If you're a Becky Bloomwood fan, then this (very) short story is worth downloading because it's free. But don't feel guilty if you skip it. Home Invasion by Joy Fielding / Another short story, but I wouldn't recommend downloading this one, even if it was free (which it's not). I thought it was boring and predictable. I would recommend the author's novels though, especially Charley's Web and Now You See Her. I'm currently reading I Am Malala and finding it fascinating and inspiring. What are you reading and loving? P.S. More book reports and free audiobooks for the summer!